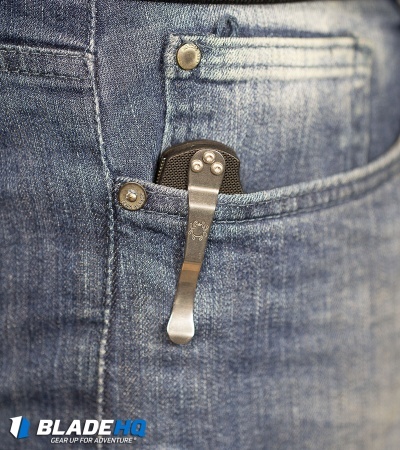 The folks at Flytanium have a passion for customizing fine cutlery. 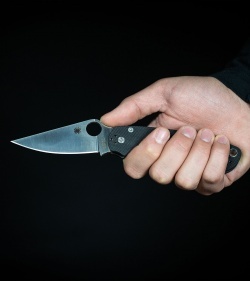 Enter the PM2 from Spyderco. It's a favorite folder for many of us, and an ideal candidate for precision machined carbon fiber scales. 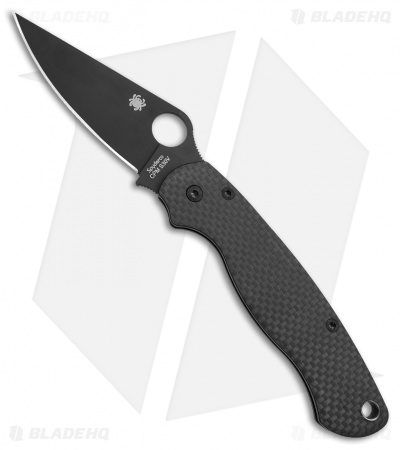 This Spyderco Paramilitary 2 knife has been outfitted with carbon fiber scales from Flytanium. The scales, like the original G-10, have been milled to accommodate the nested liners and are drilled for right handed, tip up carry. 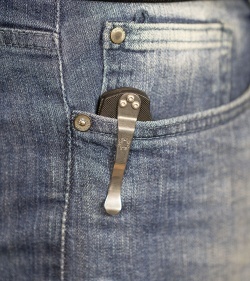 This model has a black finished S30V steel blade. 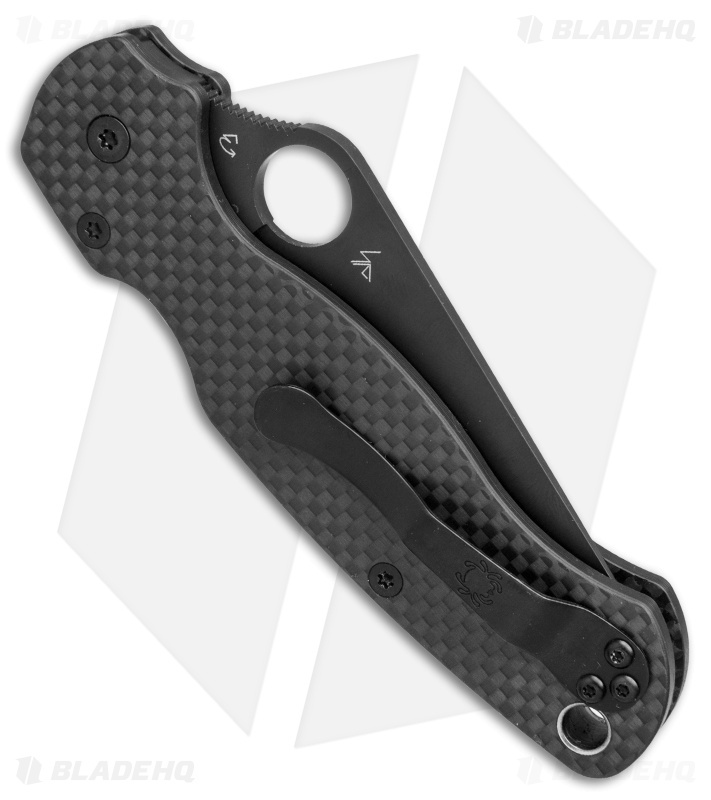 Scales are milled in China to high tolerances for exceptional fit and finish. 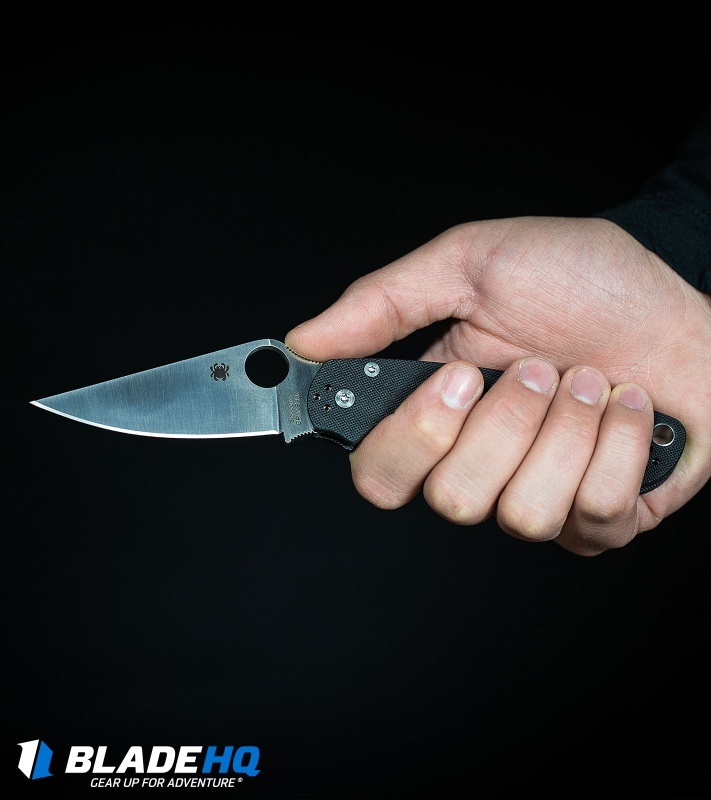 Make sure to check out our Spyderco Paramilitary 2 Review to see our cut test results and Knife Life Score! 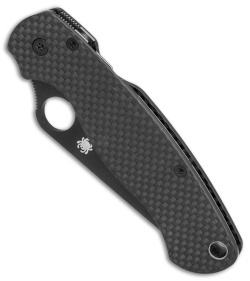 The pm2 is hands down one of the best edc knives of all time and one you get one with scales as nice as these it really sets it off. 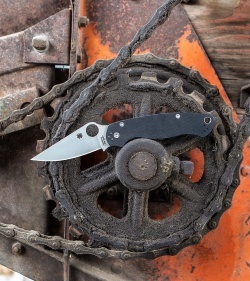 Everything about this knife is awesome!